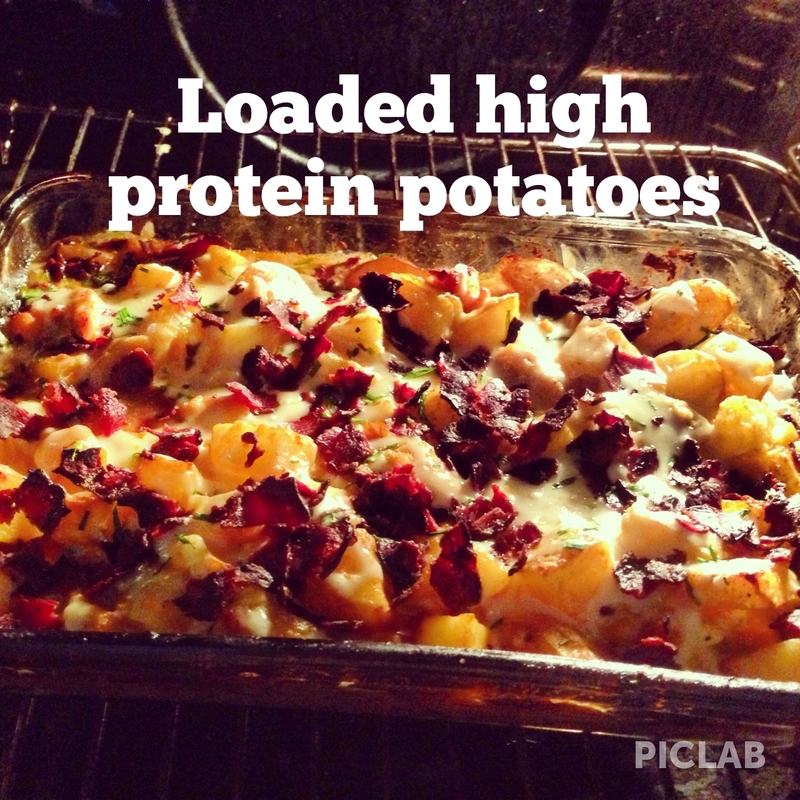 High protein potatoes baked with chicken and cottage cheese! Mix all but toppings and cottage in mixing bowl. Put the potato mix in the oven pan. Cook for 30 minutes. While loaded potatoes are cooking, fry turkey bacon. After 30 minutes take potatoes out and stir in cottage cheese. Place back in oven for another 20-30 minutes until chicken and potatoes are cooked and light brown. Take out of oven and sprinkle toppings on top. (Omit cheese if not in your diet) Put back in oven for 5-10 minutes. Serve with Greek yogurt!! BAM!! 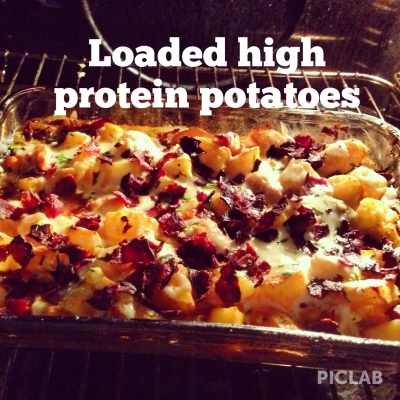 High protein loaded potatoes!